Stop at Ibis Borehamwood Hotel to discover the wonders of London. The hotel has everything you need for a comfortable stay. Facilities like facilities for disabled guests, Wi-Fi in public areas, car park, family room, restaurant are readily available for you to enjoy. Designed for comfort, selected guestrooms offer television LCD/plasma screen, carpeting, clothes rack, closet, heating to ensure a restful night. Take a break from a long day and make use of fitness center, garden. 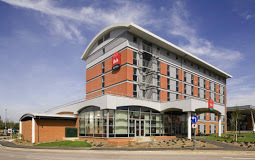 Ibis Borehamwood Hotel combines warm hospitality with a lovely ambiance to make your stay in London unforgettable.